Christmas is the time of the year when everyone is just a little bit kinder, and the acts of giving and forgiving are more common. It’s also a time when you feel just a little bit happier and more optimistic—like miracles can happen! Hi, friends! This is Ines Cano Uribe, BSc Psychology, and future clinical psychologist. Since I love movies, and Christmas is only a few winks away, I thought I’d share with you some of my favorite Christmas movies of all time. I re-watch these movies not only during the yuletide season but at random times of the year—sort of a pick-me-up when times get a little too rough for me. And yes, these movies never fail to make me feel better. First of all, I love all the main players in this movie: Jude Law, Jack Black, Kate Winslet, Cameron Diaz, and Eli Wallach. I have a special place in my heart for some of the characters, like Kate Winslet’s Iris and Eli Wallach’s Arthur. Arthur’s wise-man to Iris’ vulnerability are the perfect complement! This is one of those movies that I never get tired of watching over and over again. It’s my immediate go-to movie when I need a quick pick-me-up. The naiveté of Will Ferrell’s character Buddy that strongly contrasts that of his father’s (Walter, played by James Caan) heartlessness are at the center of this movie. Buddy’s innocence, his infectious joyful spirit, and his overall goodness ultimately win over his obstinate father and makes him a believer of Santa and all things Christmas once again. If you want to believe in miracles again, in Santa, and all things good, well then this movie is for you. 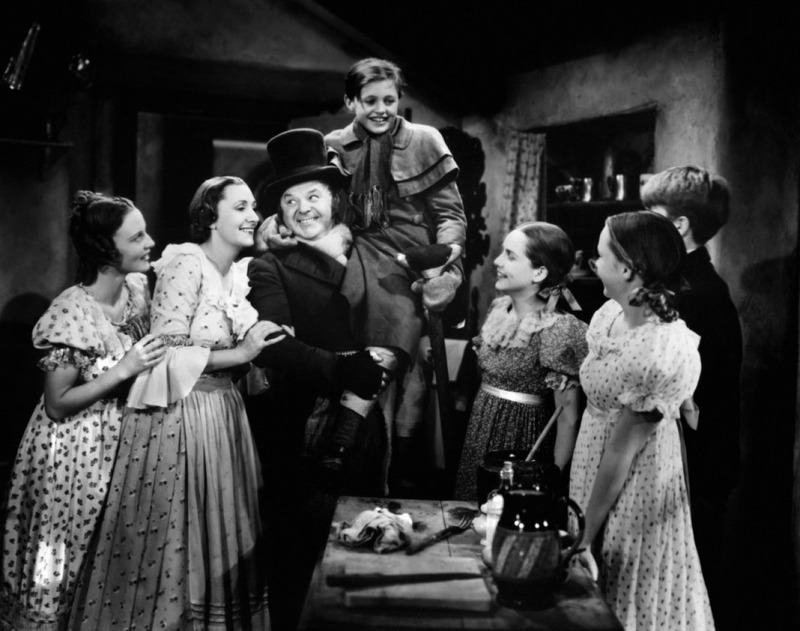 There have been many film adaptations of Charles Dickens’ Christmas classic, “A Christmas Carol,” but the first one that I ever saw and absolutely love up to this day is the 1938 version. In this version, Reginald Owen plays the obnoxious Ebenezer Scrooge, while Gene Lockhart takes the role of the kind and gentle Bob Cratchit. When I first saw this film, I was actually more scared of Scrooge than I was of Marley’s ghost. Do you have a favorite Christmas movie? Please share it with us here! You may reach me, Ines Cano Uribe, through this site.